Jan. 10, 2019, 2:23 a.m.
Jan. 10, 2019, 2:11 a.m. 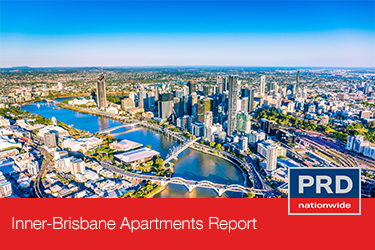 The Inner North recorded a median house price of $1,050,000 and $500,000 for units in Q3 2018, which represented an annual (Q3 2017 – Q3 2018) price change of 18.4% and 11.1 % respectively. 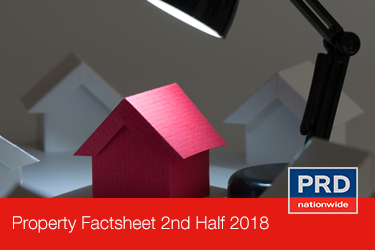 Compared to the Inner North 1st Half 2018 Research Factsheet, which reported an annual (Q1- 2017- Q1 2018) price change of 10.3 % (house) and 5.2% (units), both houses and units in the Inner North* have strengthened in value. Jan. 10, 2019, 2:01 a.m.
Mildura recorded a median house price of $280,000 and $210,000 for units in Q3 2018, which represents annual (Q3 2017- Q3 2018) price change of 9.4% and 10.5% respectively. Compared to the Mildura 1st half 2018 Research Factsheet, houses in Mildura have strengthened in value whereas units have become more affordable. Jan. 9, 2019, 6:53 a.m. The Dapto market recorded a median house price of $620,000 and median unit price of $550,000 in Q3 2018, which represented an annual (Q3 2017 – Q3 2018) price change of 1.6% and -3.1% respectively. Compared to Dapto 1st Half 2018 Research Factsheet, which reported an annual (Q1 2017 – Q1 2018) median price change of 12.2% (house) and 3.6% (units), properties in Dapto have become more affordable. Jan. 9, 2019, 6:43 a.m.
Laurieton is the largest town in Camden Haven district, a coastal area on the Mid North Coast of New South Wales (NSW). According to ABS Census 2016 only 8.0% of private dwellings were unoccupied, lower than the Australian average of 11.2%. This is good news for investors looking to enter the market. Jan. 9, 2019, 6:28 a.m. The Tamworth property market recorded a median house price of $386,000 and $320,500 for units in Q3 2018, which represented an annual (Q3 2017-Q3 2018) price change of 10.3% and -4.3% respectively. Compared to the Tamworth 1st half 2018 Research Factsheet, which reported an annual (Q1 2017 – Q1 2018) median price growth of 11.0% (house) and -5.8% (units), the property market in Tamworth have remained relatively stable. Jan. 9, 2019, 1:30 a.m.
Carina/Carindale is approx. 10kms east of Brisbane CBD. According to ABS Census 2016 6.3% of private dwellings were unoccupied, a slight increase from the 5.7% reported in 2011. This creates an ideal market for first home buyers. Jan. 9, 2019, 1:19 a.m.
Buderim is a major suburb of the Sunshine Coast Region and comprises 63.0% of the town of Buderim’s urban population. According to ABS Census 2016 only 8.0% of private dwellings were unoccupied, lower than Queensland average of 10.6%. Further, the number of private dwellings grew by 7.7% during this time, signalling a healthy rental market for investment. Jan. 9, 2019, 12:31 a.m. The Maryborough property market recorded a median house price of $205,000 in Q3 2018, a softening of -2.0% over the past 12 months (Q3 2017 – Q3 2018). Compared to the Maryborough 1st half 2018 Research Factsheet, which reported an annual (Q1 2017 – Q1 2018) price change of -1.3% houses, there is a relatively stable trend. This provides confidence to current home owners, as their house value and potential capital growth remains stable.